guess what?!? 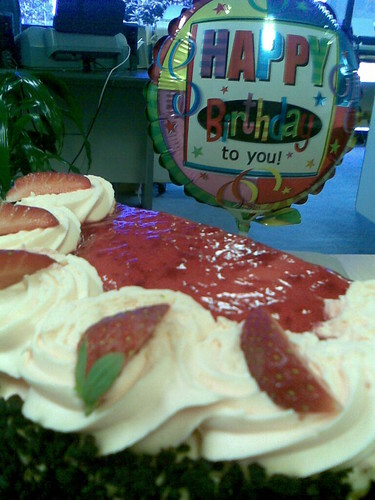 : more birthday- work cake! 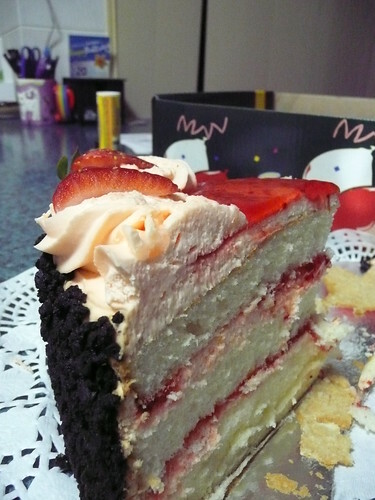 The day before my birthday we had a delicious cake at work - it was a sponge cake with strawberry. YUM!!! !